Reservation sales will be decided this 2019! 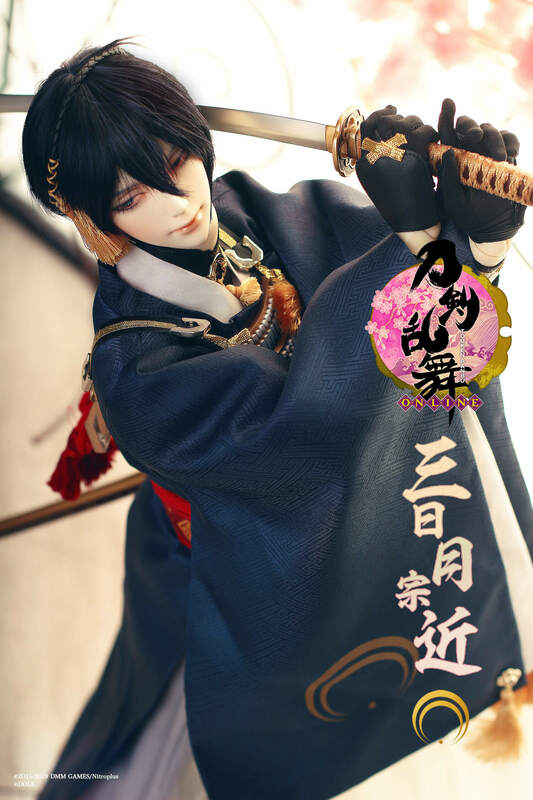 The "Touken Ranbu - ONLINE -", " Mikazuki Munechika", which is said to be the most beautiful among five Tenka Swords, will finally appear as a doll! Expressing a smooth and supple formative beauty by using a more expressive resin material, a beautiful and gentle Mikazuki Munechika cast doll was born. Elegant costumes and swords like Heian aristocrats are fully reproduced faithfully to the work. It thoroughly studies the appeal of the swordsman and enjoys the swing of "Mikazuki Munechika" completed as the most beautiful doll in the world. ※ This is currently under supervision. Please note that it may differ from actual ones partly. Fukuoka I · Doll VOL. 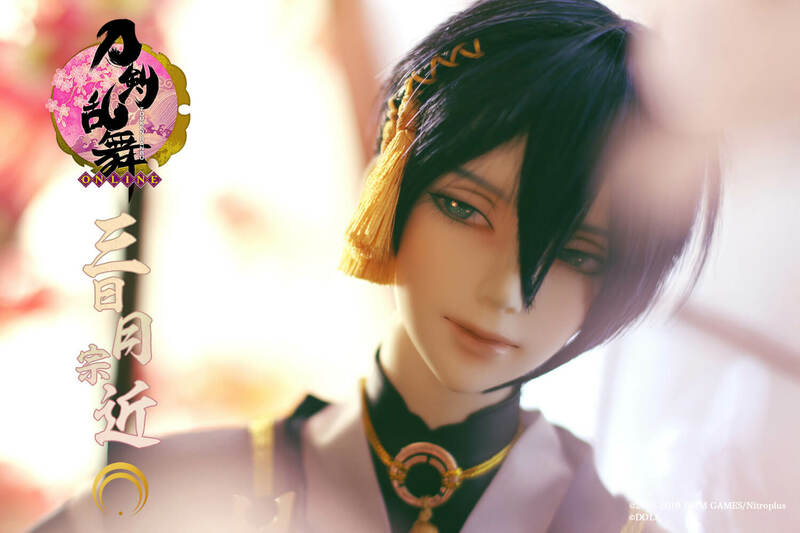 10 "Touken Ranbu - ONLINE -" Mikazuki Munechika Cast doll's preceding exhibition is decided. It will be the first whole exhibition at the event venue. 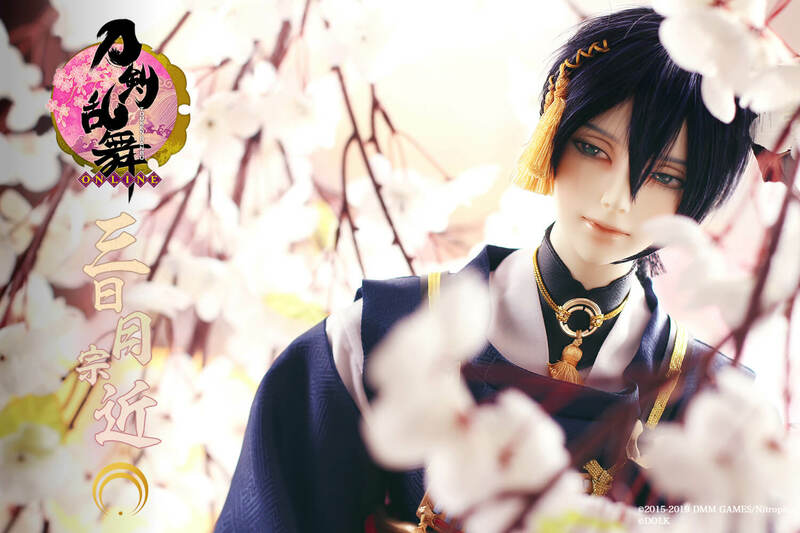 In this event, it will be an exhibition of Mikazuki Munechika only. Please have a look at beautiful shapes and costumes made with high quality directly! Please note: We do not accept reservations at the exhibition hall. We will inform you about the start of order sale by the DOLK site, the official twitter etc. We will update the information sequentially, so please look forward to it! ※ For additional information, we will inform you on the DOLK official website or DOLK official Twitter etc.